Split View: Are You Using It? Do you get tired of switching between screens? Are you ready to improve productivity? 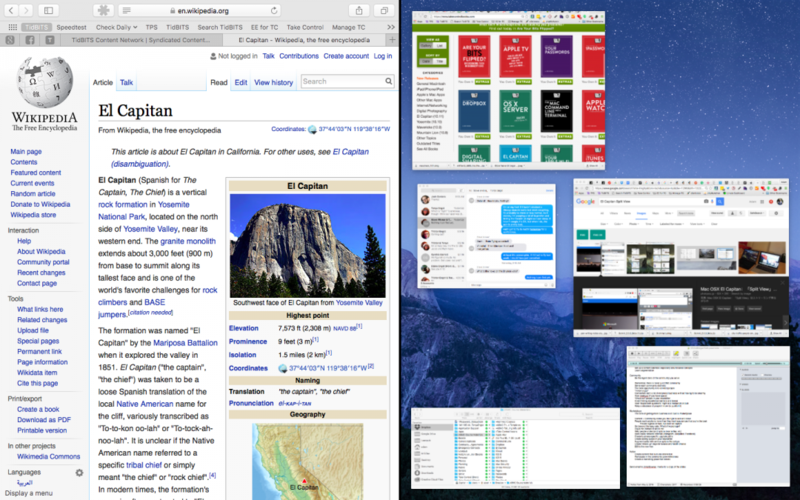 El Capitan’s new Split View makes it easier than ever to work in two window–or two apps–side by side. To invoke it, click and hold the green zoom button at the upper-left corner of any window. The window shrinks, and the left half of your screen fades to blue. Drag it the to the right or left and then drop it; the other half of the screen shows all other open windows in Mission Control. Select one, and it fills the second half of your screen. If you don’t want a 50-50 split, drag the black divider bar between the windows to adjust the proportions. To leave Split View, move your pointer to the top of the screen to reveal the menu bar and then click the green zoom button.